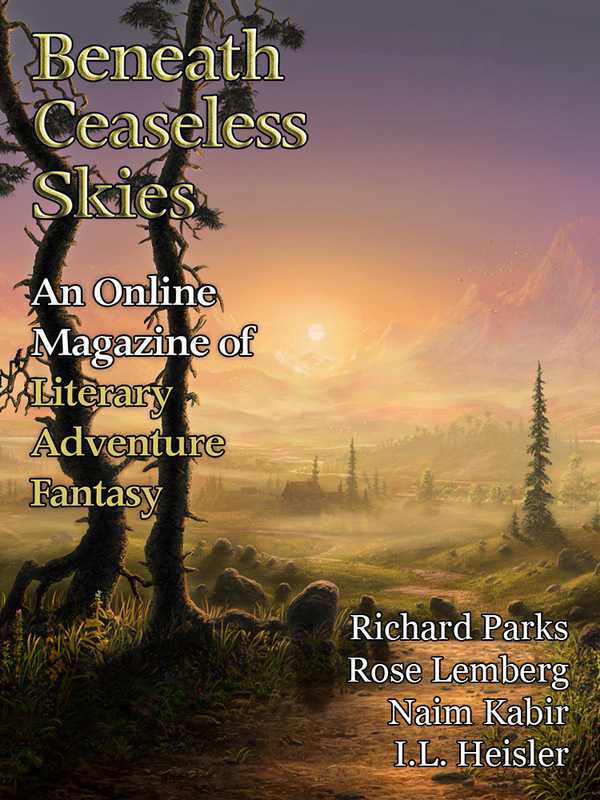 Featuring new cover art “Sundown” by Feliks Grzesiczek, four stories, a podcast, and a giveaway for BCS author Matthew Kressel’s new novel King of Shards. The demon's power would diminish in the light of day. All we had to do was survive the night, but as the cold settled in, I began to wonder if it might not be better to take my sword and my chances with the creature. If we weren't killed immediately, at least maybe we could find some firewood. "Clear daylight will hinder a snow demon but only just. Best to be away from here quickly," I said. I do not speak again. In Little Hold, we eat a simple meal, the two of us alone. He does not care to select the wine. He drinks my choice without expression and ignores my clumsy pouring of it. Later, he asks if he can hurt me. I consent. Later, he asks if he can hurt me. I consent. “Once you remember them in your next life,” he lied, “you can travel to them to say sorry. Many make this kind of pilgrimage, I’ve seen it.” The poison sloshed as she absently shook the flask about. On its surface, the sculpture was masterful. But looking deeper, I perceived shapes forced into the marble, curves and planes that did not rise from within. This was not the image of a man, only of his skin, a polished surface without organs, skeleton, or a brain behind the handsome, murdering face. The other hand held aloft his trophy—the severed head of my mother. She had dreamed of being a weaver, and a fisher, and a soldier, and many different wives, but the life of a seeker of knowledge had never come to her yet.